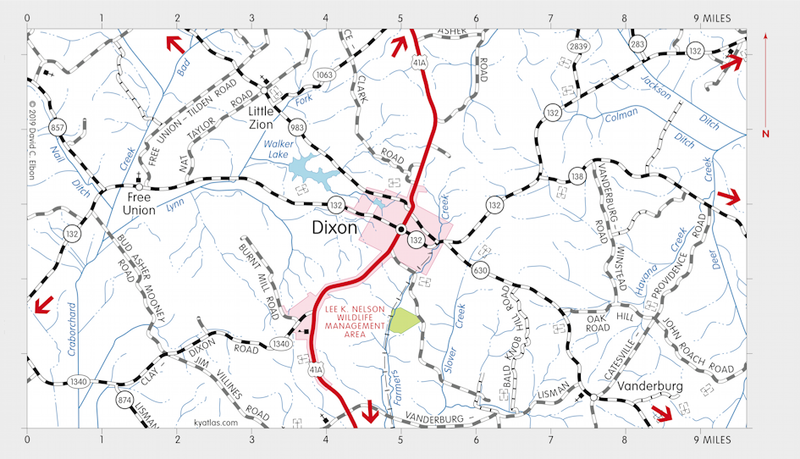 Dixon, the seat of Webster county, is located at the junction of US 41A and KY 132. It was established in 1860 when the county was formed and named for Archibald Dixon, lieutenant governor and U.S. senator. Dixon was incorporated in 1861. The Dixon's Court House post office opened in 1860. The population in 2010 was 786.